For the record, I really, really, really wanted to love this book. It was the book I was most excited to read this summer and I even recommended that we read it in my book club this past month. However, I just couldn’t get into it! Don’t you just hate that?! It’s gotten the most amazing reviews and, while it is incredibly well written, I just couldn’t get into the story itself. As for book club, we really didn’t have the best discussion on it as I didn’t like it, Ashley loved it and Becca didn’t read it. Sigh. Instead, we ate the muffins I baked (used all the summer squash from my CSA bag instead of zucchini and they turned out great!) and drank Ashley’s champagne punch. I mean, isn’t book club sometimes just an excuse to drink wine during the day and gossip with your girlfriends? I don’t want to not recommend the book to you though, especially since Ashley apparently thought it was the best thing since the iphone kindle app. It was very “folksy”, which usually I love but this time couldn’t seem to sink my teeth into. On my way out though, I grabbed this and haven’t put it down since. I love all of Jodi’s books and thought I read every single one in the summer of 06 when I was stranded in a cubicle on an internship. I don’t know how I missed this one! It’s a real gem and the perfect summer-can’t-put-down read. What are you reading right now? I need a good book to take to the lake next weekend! Right now I’m reading “A Visit From the Goon Squad” by Jennifer Egan, which is a national bestseller, and apparently the author is a Pulitzer Prize winner. I’m not super thrilled with it so far, but I’m only about 40 pages in. Before this book, I read “A Friend of the Family” by Lauren Grodstein and I really liked it. Ah, summer is the best for pleasure reading! I just need some of your baked goods to go along with my books. By the way, I don’t know if you’re into culinary books, but if you are, I recommend “The Sorcerer’s Apprentices” by Lisa Abend. It’s about the restaurant El Bulli, and the stagieres that worked there. I’m almost finished with it, and I’ve found it to be really interesting! Another good culinary read is “The Last Chinese Chef” by Nicole Mones. I just finished that book! Although this post may be against everything the book talks about by way of me sponsoring the book- I LOVED it. It did start a little slow though. I haven’t read “A Friend of the Family”, but I really liked Grodstein’s “Reproduction is the Flaw of Love” when I read it about five years ago! All chick lit, but all good. 🙂 I hope that helps. You always give me new book ideas. Thought I would return the favor. I’m reading A Million Nightingales by Susan Straight right now. Not sure what I think yet though.. I love Jodi Picoult too! I’ll have to check that out! Jenna, I just read “left neglected” by Lisa genova. Insanely awesome read. I read it front to back on my kindle over a weekend! My favorite is “Blue Like Jazz” by Donald Miller. I’m finishing up The Girl Who Played with Fire… and will hopefully work on something more beachy next…I have Beachcombers (Nancy Thayer) checked out and overdue from library so will hopefully get into it quickly! I think that might of been one of my first JP books that I read! It’s a good one!! I just finished Bossypants by Tina Fey. That was a great read! I want to read this! I love Tina Fey. I second this pick… amazing book! i’m reading it now!! it’s great! Unbroken is my favorite book ever! If you loved The Help, you’ll love this! 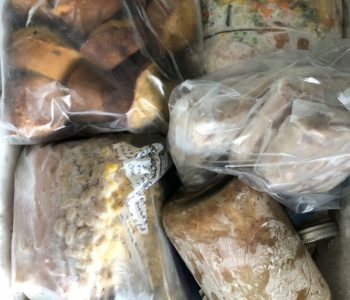 I’ve heard AMAZING things about “Cutting for Stone” and I just read “How to Bake the Perfect Life” which was a nice, light read. I loved Cutting for Stone! Have you read House Rules by Jodi? It’s my fave. I loved House Rules too! I loved the mystery of it. I’m currently reading In A Sunburned Country by Bill Bryson. I love travel documentaries, though, and have enjoyed everything he has written. I like Bill Bryson’s books too. Have you read any books by Colin Angus? He’s witty like Bryson and has been on some amazing adventures. “Amazon Extreme” is great. I also just finished “Shooting the Boh” by Tracy Johnston which was a good read. I have been looking for writers similar to him forever (as I’m starting to re-read his books all over again). I will definitely check out Colin Angus and Tracy Johnston. Thanks so much! I’m reading Anthony Bourdain’s book, “Kitchen Confidential.” So funny and so Bourdain! I’m re-reading all of Ruth Reichl’s books. I’m in love! I have a couple of her books but haven’t started them yet – good to know they’re good! I am reading the Tiger’s Wife right now as well. I found it really hard to get into in the beginning too. I actually started it a few months ago and got bored, so I put it down and read Little Bee (which I loved!). But I picked it up again recently and it really does get better about halfway though. I reccommend you give it another shot. If you can get past the vague confusing beginning it will lead to a really great story! Oh and I second the Secret Daughter, probably they best book I have read this year. Currently challenging myself to read 50 books before I move to CALIFORNIA in September (Berkeley to be exact–any tips??). So I will be gleefully looking up any and all suggestions! I’m currently reading Little Bee by Chris Cleave but I just finished Hotel on the Corner of Bitter and Sweet (saw it on ELR) and I LOVED it! I liked little bee up until the ending.. honestly i was so confused and disappointed in the author! Cutting for Stone. I’m in the middle right now and it’s a bit slow, but the beginning was amazing and I think it will start to pick up again. Also, are you on Goodreads (www.goodreads.com)? If not, try it! Haha – I am totally going through these suggestions and adding them to my “To:Read” shelf on Goodreads!! I will second the recommendation of Unbroken by Laura Hillenbrand, which I finished reading last month. It makes one think about grace and forgiveness. My last book was Silas Marner by George Eliot. I liked it. I’m catching up on classics that I never read in school. I just finished ‘One Day’ by David Nicholls — I loved it! I didn’t want it to end. I’m sure the movie won’t do it justice, so be sure to check out the book first. I went through a summer where I read about 10 Jodi Picoult books. Loved Vanishing Acts! You and me both having trouble getting into books!! Thanks for mentioning the Anita Shreve book you read awhile back, I’ve now read 3 of hers and can’t get enough. I love Jodi Picoult! Her stuff is great. Right now I’m reading The Gursney Literary Society and Potato Peel Pie Society! It’s great! The Gursney Literary Society and Potato Peel Pie Society was a good book! I’m reading “A Vintage Affair” by Isabel Wolff, half way through and it’s good so far. I’m actually reading An American Wife based on your review. I love it so far. I also love Jodi Picoult’s books. I had the pleasure of seeing her speak at Mt. Holyoke College in the spring. She was promoting her new book “Sing You Home.” She was delightful and so likable. I love your book posts because it gives me lots of ideas of new books to read. Thanks. I just finished reading Silver Girl by Elin Hilderbrand. I love all of her books and her new one did not disappoint. It was the ultimate beach read! sounds like my book club…such great food and a little discussion of the book! I agree with another reader, One Day was one of my favorite books in a long time. Our book club has just selected Hotel on the Corner of Bitter and Sweet for next month! I just finished reading The Beauty Detox Solution (almost) and I just started Must Have Been Something I Ate…loving all the good information!! Well, I picked up The Tiger’s Wife from the library Saturday. I haven’t cracked it open yet, but hopefully I like it more than you did! I am reading Cutting for Stone by Abraham Verghese. Very, very good book. I highly recommend it! Oh bother. I put that one on my E-book Wish List at the library…patiently awaiting my turn. I did just finish a Lisa See novel, on your recommendation, which I loved. Ya win some and you lose some. Sigh. 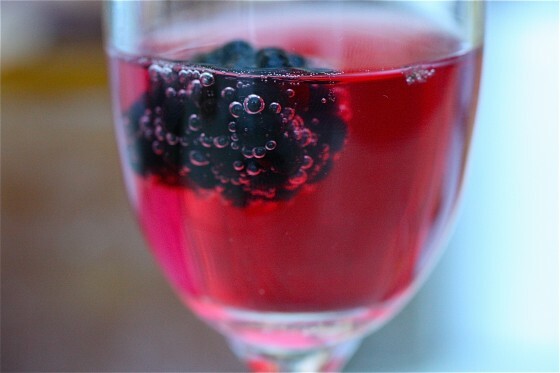 Nevertheless, champagne punch looks AMAZING fab. Could go for some right now. I am reading the Hunger Games by Suzanne Collins. It is a futuristic fiction novel about a strong female character who overcomes amazing odds to win a game of survival. I HIGHLY recommend it! i agree, this is an amazing book! it’s actually a trilogy. i just started the 2nd one and i can’t put it down!!! Loved this series! I had to read all three back-to-back. They’re casting the movies now too! Hi Jenna. I just started reading your blog last week and enjoy it very much! I also am obsessed with reading. Two books that I’ve read recently and thoroughly enjoyed are The Book Theif and An Object of Beauty. Also, Water for Elephants was surprisingly very good ( wanted to watch before the movie). Although I am not doing much reading myself these days (I’m a 3rd yr medical student and just started my surgical rotation), I HIGHLY recommend Still Alice. Not sure if you have read it yet, but trust me, it’s a good one. I read it in 2 days! Left Neglected by the same author is awesome too. You will love Vanishing Acts. Granted there are very few Jodi Picoult books I didn’t love (House Rules being one of them). I just started Hunger Games, the first in a 3 book series. I am loving it so far and have not been able to put it down! But if you are looking for a bit less of a girly read, Cutting for Stone, as another commentor suggested, was amazing! In the middle of Cutting for Stone and hope it picks up again, because right now I’m bored and trudging through it. I finished all 3 Hunger Games books in the blink of an eye because they are so SO good! I’m reading My Name is Memory by….um, the auther who wrote Sisterhood of the Traveling Pants. I just finished her other book, The Last Summer (of you and me) and loved it. Good, quick read. 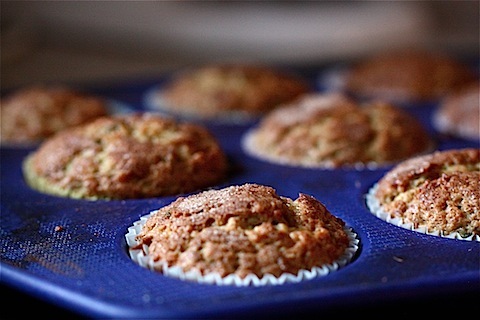 Muffins cure any bad read. Seriously. I’m reading My Grandfather’s Blessing. Definitely a keeper! A book to take to the lake? Sounds like a fun trip in store!! I’ve noticed that we seem to have the same taste in books so I thought I’d share a few that I’ve read and loved. Two of my all time favs are Purple Hibiscus and Half a Yellow Sun by Chimamanda Ngozi Adichie. I also love Room by Emma Donahue. It’s a bit disturbing but the writing (told from the perspective of a 5 yr old boy) is incredible. I just read “Two Part Invention” it is the story of madeliene l’engles (probably spelled all that really wrong, sorry–she is the author of “a wrinkle in time”) marriage–it was a beautiful book. a really beautiful marriage. Also sad, but something great to read as I think about my own marriage. And…..of course Im a nerd: Lord of the rings, the hobbit, chronicles of narnia, harry potter, all the classics 😉 Slightly different type of book than the ones you have been reviewing!! I felt exactly the same way about the book!! It was well written, but it just felt so cold and sterile, I couldn’t muster any affection for the characters. It was also so disjointed and vague I just got tired of “working” so hard to read it. I don’t mind being challenged by a good book, but eventually I realized i didn’t even care how it ended so i stopped reading it. I recently finished The First Husband, definitely not a book you have to work at, but I enjoyed it, a nice summer read. I am a bit chagrined to admit I have gotten hooked on Game of Thrones…I picked up my son’s copy while bored one afternoon, and gosh darn it now I can’t put it down. Have you ever read Sabriel by Garth Nix? Uh.Freaking.Amazing. The story is about a girl who keeps the dead “dead” by binding them in the gates of death. Her father disappears and she must save the Old and New Kingdom from being overrun with evil, dark spirits. There are two more books after Sabriel; Lirael and Abhorsen. I love Jodi Picoult! I am just starting her newest book Sing You Home. Have you read it yet?! The book was great you’ll love it!!! I just read “Elizabeth Street”, it was pretty good. Good Lord – I could talk about books forever. Not a fan of Jodi Picoult generally – but have you read “Sister’s Keeper” – I bawled my heart out. Hmm…have you read “Spoon Fed”, “Garlic and Sapphire”…Anthony Bourdain has a new book called “Medium Raw”… – but I don’t know actually if you read “Foodie-type” books? – do you? Recently read blogger’s Charlotte Hilten Andersen’s book “The Great Fitness Experiment” – but not a real fan for a number of reasons. We Were the Mulvaneys by Joyce Carol Oates. I’m reading it right now and it’s had me hooked from the beginning. I lovee Jodi Picoult too; dunno if you’ve read The Pact or Mercy but those are my two personal faves of her. Let me know how this one is though, I’ve yet to read it. I’ve heard so many great things about the Oates book, but I just couldn’t get into it at all! I just finished Midwifes Confession by Diane Chamberlain (good read) and I am now onto Fly Me Home by Jennifer Weiner. Sorry you didn’t get into your book. I’ve heard it’s really good. LOVE all of Jodi’s books! That one is great. I’m reading now Save me, Shanghai Girls (your recommendation), and Something Borrowed (Something Blue is next). Keep giving our recommendations! Love them! I think my fav my have been The President’s Wife!! I just finished reading Sarah’s Key – fictional characters based on a real event (that I had never heard of despite loving history in high school and college). Movie is coming out soon (which is where I cottoned onto the book), so I figured the trailer looked intriguing, maybe the book actually is. It was my companion on the bus/subway for a total of 3 days (would have been 1/2 a day if I didn’t have to work!! :)). Ugh, I just finished the Tiger’s Wife and couldn’t get into it either! Too many story lines, I just couldn’t connect with it. Boo. However, I just started ‘Cutting for Stone’ and am loving it – an epic story. Cutting for Stone!!!!!!!!! Read it. “Seabiscuit” by Laura Hillenbrand! It’s an amazing nonfiction story about a racehorse who is actually from Ridgewood Ranch in Willits if you are familiar with that area (not sure where you are in Northern California exactly but it is in Mendocino County). You’ve probably heard of this book but if not I really recommend it I’ve been loving it so far. Oh it’s the book the movie from a few years back was based on by the way. Ah, I hate when I start a book I really, really want to love, and then totally cannot get into it. I always feel obligated to finish a whole book, but sometimes i just have to give up if I reaaally can’t get into it. 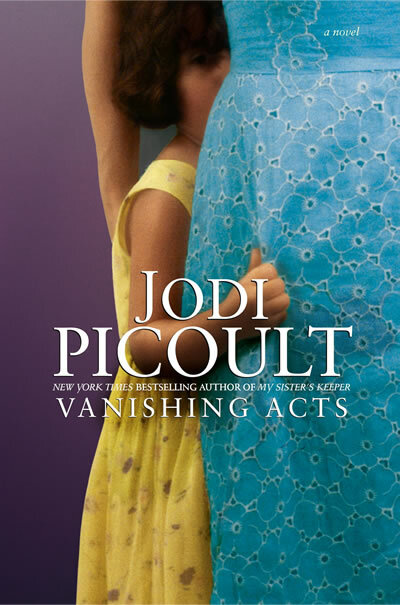 Vanishing Acts is incredible – as is every single book that Picoult writes. I just read Girl In Translation which I think you would really like – it’s about a Chinese girl and her mother who come to America from Hong Kong. In fact, I know you would like it!! Ooo good to know! Just finished Born to Run (awesome) and The Kitchen House (even awesomer but I know you read it b/c I’m pretty sure I got the recco from this blog). I tried to start A Mercy by Toni Morrison and it was a big swing an’ a miss for me so now I’m taking a crack at Love in the Time of Cholera. Ahh books are magical! I just finished The Weird Sisters (I forget who it’s by.) it’s about 3 sisters returning home to their Shakespeare obsessed father and cancer stricken mom. SO good. Ahhh, I know the feeling when you really want to love something but just can’t. So frustrating! I can’t say I have any really good fiction recommendations right now, but I jsut finished “Outliers” by Malcolm Gladwell which was totally fascinating. i just finished “the love goddess cooking school” by melissa senate. it’s about a woman finding love & finding herself after she inherits her grandmother’s take-out italian restaurant/cooking school business. so sweet! I LOVED A Visit From the Goon Squad, it was truly wonderful. So is Freedom, Jonathan Franzen and ROOM by Emma Donoghue. Good stuff. I like Amazon’s Best Books of the month! That glass photo is gorgeous! I feel like I (not so secretly) love Jodi’s books because they’re set in New Hampshire and I have so much love for my home state. Right now, I’m reading Fortune’s Rocks on your recommendation, so I’m afraid that doesn’t help you. Next on my list is The Kitchen House. I recently finished My Enemy’s Cradle which was a WW2/Nazi historical fiction. Reminded me of the Kommandant Girl, etc. It was good. I’m reading my Life in France by Julia Child right now. LOVE it so far. It makes me want her life even more than I did before! The Lotus Eaters by Tatjana Soli is phenomenal! Highly recommend it. Just finished “The Likeness” by Tana French(really good, almost as good as “In The Woods”). Am now re-reading “Josie and Jack” by Kelly Braffet, which is good for a lot of reasons, but mostly because it’s unlike any other book. Def not cookie-cutter reading. -Vanishing Acts is such a great,easy read. I read it on vacation and could not put it down! Next, I want to read “Freakonomics,I hear its good. Also anything by Peter Mayle is good!! Wine during the day with girlfriends? I think that’s a mandatory part of life. Just sayin..
I’m currently rereading all of Emily Giffin’s books. LOVE her. I agree! Just read three of her books, and they were all great! I love Jodi! I really need to start a new book. It’s so hard to find the time! Have you read anything by Jhumpa Lahiri? She is AMAZING! The Namesake was excellent, and her short story collections Interpreter of Maladies and Unaccustomed Earth are awesome. I also love Geraldine Brooks, especially her novel People of the Book. You’re right – Tiger’s Wife was really difficult to get into – but I finished it and liked it okay. Not sure it was worth all the hype it got, though. I just finished a book called “House of Prayer No. 2” by Mark Richard. I is his memoir of being a “special child” growing up in the South. Interesting point of view and really poignant. I liked it a lot. I just finished The Help and The Confession. Very different books but both very good. If you’re a dog person, and probably even if you’re not, “A Dog’s Purpose” was absolutely phenomenal. One of the best books I’ve ever read. I cried like 5 times. If you haven’t read Loving Frank by Nancy Horan that is a must! It’s about Frank Lloyd Wright’s real-life affair with a woman, however, the details are imagined by Horan based on journals, letters, etc. It’s a very moving book about an iconic man and the unknown, yet brilliant woman he shared much of his life with. I’m reading The Help. Apparently I am the last woman on the planet to read it, hehe. I’m loving it so far! I haven’t read it yet! You’re not alone! I’m reading State of Wonder by Ann Patchett. I’m not really far into it, but I really like it so far. I love hearing your book reviews – I’ve read a few great books you’ve recommended! Right now I’m reading Rejoice by Karen Kingsbury. It’s part of the Redemption series…all of the books in the series have been good so far! I am currently reading The Paris Wife )(awesome!) and would also say that the Hunger Game series is one not to miss! I was debating whether or not The Paris Wife would be a good pick for my book club. Good eh? Umm…and yes, on book 3 of the Hunger Games trilogy. Can’t get enough! I have to agree with you on this. I’m also reading Vanishing Acts! When it was first released, the story didn’t appeal to me for some reason. When I saw a copy at the library book sale earlier this year I picked it up. I finally got around to starting it when my hold on Sing You Home came in, and I decided to read that one first. I feel like this is an unpopular opinion, but I’m just not really digging Jodi much anymore. 10 years ago she was without a doubt one of my favorites but to me her later work doesn’t even compare to her early novels. I didn’t care for Sing You Home that much at all. So far I am enjoying the characters of Vanishing Acts so and am interested to see how the kidnapping story unfolds. 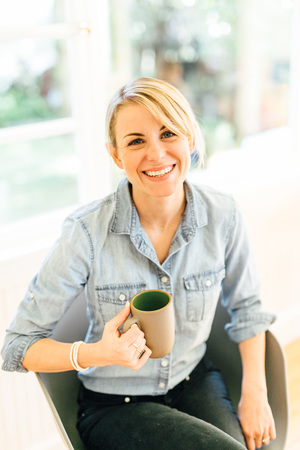 I LOVE all your book recommendations, it’s one of my fave parts of the blog! Right now I’m reading “Inside a Dog” by Alexandra Horowitz. So far so good, as I try to understand why my border collie toes the lie on lunacy! I just finished one you recommend, “Pictures of You’ which was great. Keep the great writing coming! I have the most amazing book club. We go by, “The Coral Society” and have our logo and everything. Dorks, yes we know! Anywho….we just finished up the entire series of the Hunger Games trilogy. Wouldn’t have thought I’d be into them considering most of us are in our 30’s, but very entertaining! Some of my top picks are: The Help, Water For Elephants, and I’m currently reading Life of Pi. Hope you get a good one! I just finish Secret Daughter. Loved it. I’m almost finish with The Secret Life of Bees. I’m loving it. Also anything be Emily Giffin should be good. Vanishing Acts was a great read! I am reading The Paris Wife now as you recommended! My favorite book is The Shadow of the Wind by Carlos Luiz Zafon. It is a little dark but he is a great writer. I am reading….”and I shall have some peace there – trading in the fast lane for my own dirt road” by Margaret Roach. Great read so far! I just started “Vision in White” by Nora Roberts after a bunch of girl friends recommended it to me. It is Book 1 of a four book series, The Bride Quartet. I just started it last night before I went to bed, so I didn’t get very far, but I am already hooked! I love the characters she has introduced and usually more feminine stories do not keep my attention! Im sure I’ll blog more about it as I get further through it! It’s so frustrating to read a book you just can’t get into. Sometimes, I’ll put it down, pick up another and then go back to that first book once I’m done. It does help. Those muffins look yummy. We always have zucchini and squash so I may need to try the recipe! The book on my night stand currently is a true story by Ginger Millermon, “Grace Thus Far”. And I plan on making your trail granola bars soon! Hope to hear from you and I’ll be back!! has anyone ever read the piano teacher? is it good? I am trying to slog through the end of Tiger’s Wife too: thought I’d love it and sadly am bored by it. Favorite read of the year so far: Lost in Shangri-La, a true story from the Pacific theater of WWII. What I’m reading right now , The Blue Bistro by Elin Hilderbrand. Good summer time book! You have to read The Wilder Life by Wendy McClure. It’s all about a woman/author who recreates experiences right out of Little House on the Prairie. I finished Left Neglected last week and immediately went and got Still Alice, both by Lisa Genova. The first about brain injury bringing life into perspective and the second about early onset alzheimers. Tears are welling in my eyes. you have got to read Little Bee by Chris Cleave – it is SO beautifully written and such a gripping story. My book club read The Hiding Place by Corrie ten Boom last month and we all loved it! Right now I’m reading Pride and Prejudice (Jane Austen). It’s my absolute favorite book and i read it every summer! But I’m also getting ready to start Shania Twain”s From This Moment On. I’m reading “Half Broke Horses” by Jeanette Walls. I loved her memoir “The Glass Castle” and this memoir of her grandmother (told in first person) is fabulous as well! OK, I’m glad it’s not just me. 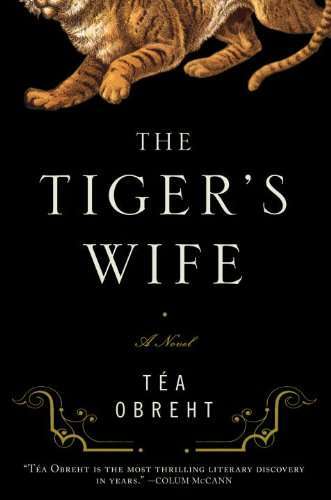 I really tried to like “The Tiger’s Wife” too but it just didn’t happen! I’m reading “Townie” by Andres Dubus III. It’s a memoir, and is fascinating so far. If you haven’t read “The House of Sand and Fog” (also by him) I’d recommend that too. I recently finished a good portion of Anais Nin’s diaries. She was so incredibly smart and passionate about life, art, and love. Such an interesting read! I’m about halfway through “The Forgotten Garden” by Kate Morten, and I CANNOT put it down. In fact, I’m pretty bummed that I’m at work today because the only thing I want to do is sit home all day and finish it. It’s a perfect vacation book. 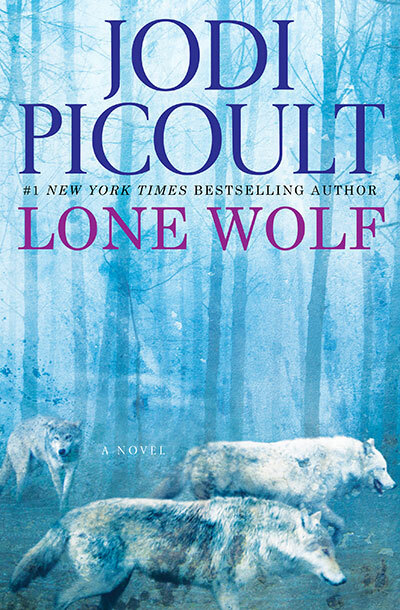 I loved that Jodi Picoult book – definitely one of her best. Right now, I’m reading the whole Left Behind series. They’re kinda good, but after 9 of them, I’m getting ready to be done with the set! I just finished My Name is Mary Sutter and Cutting for Stone. Both very well written and interesting stories. I also read Secret Daughter and thought it was so-so. I’m reading A Stopover in Venice, about a woman who is sad and tired of her current situation (read: her marriage) and just gets off the train in Venice, leaving her husband and old life behind. so far, so good! Oh boy, I have to stop reading all these comments, I already have too many books to read! The standout was definitely The Immortal Life of Henrietta Lacks. I am racing through The History of Love by Nicole Krauss. Beautiful. Heartbreaking. Tragic. Simply lovely. I can’t recommend it highly enough. A great book is “If you could see me now” by cecelia ahern. She is an Irish writer and by far my favorite. Love your blog. You have probably read this, but if not, go pick up Time Traveler’s Wife NOW!! I just finished two cooking/memoirs that I loved: Blood, Bones and Butter and My Life from Scratch. If you’re looking for a laugh out loud book, read any of David Sedaris’ books. Oh I’m glad to hear what you thought about The Tiger’s Wife because I was JUST browsing it on Amazon today. I think I’ll skip this one. And oh, I’m going to have to pick up that other book! I just read her Jodi’s House Rules and it was amazing! Also, I just reviewed it on my blog, but have you read Room? I thought it was fantastic and I could not put it down! I am just reading The Help right now. I am trying to get it read before the movie comes out. I would recommend The Book of Negroes (if you haven’t read it already). Its a heavy read but so amazing! It is one of my all time fave reads! I know that my friends’ book club is all about wine and snacks. I don’t even read the books and I always get the invites. Who turns down a smorgasbord board and an excuse to drink in the afternoon? Not this girl! I, too. found this book to be a let down. I’ve been trying to read it as I sit on the bench or bleachers at various summer activities for my children. I thought perhaps its was the disjointed spurts of reading here and there that was causing me to lack interest so I forced myself to sit and read, but still no go. I mean when you have to force yourself that’s a sign, right? Glad to see I’m not the only one. I’ve put it in the archives until later–maybe a long winter day with a good snowstorm will inspire me, but not the summer days of beach reading! I’m reading One Day. It’s one that I can’t seem to put down.